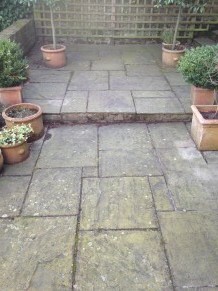 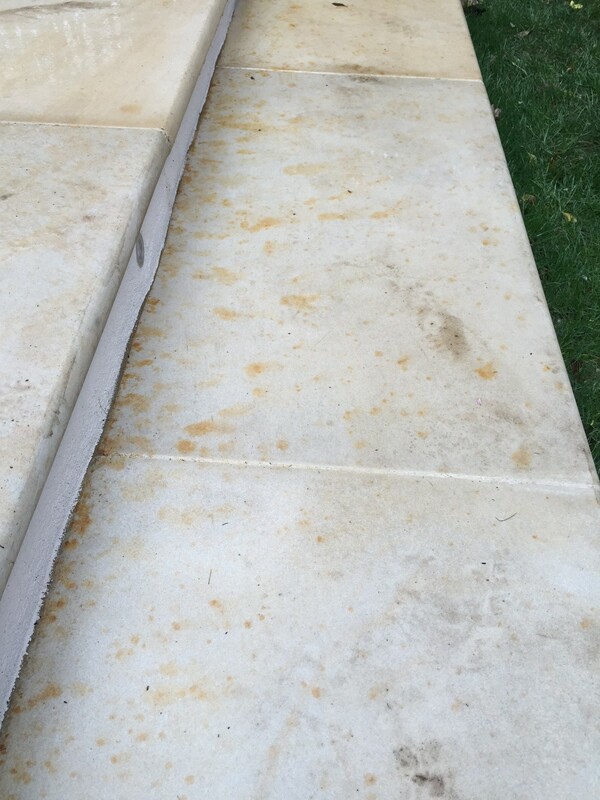 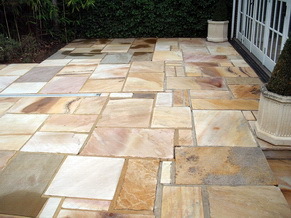 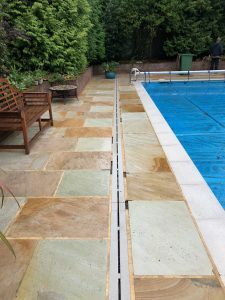 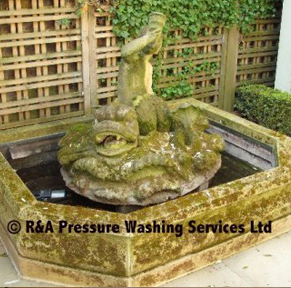 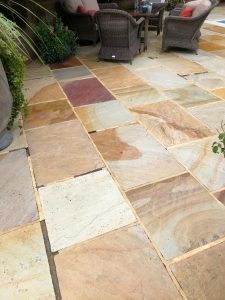 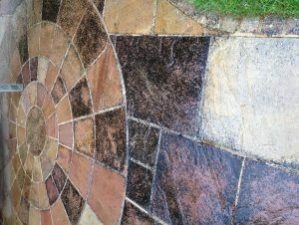 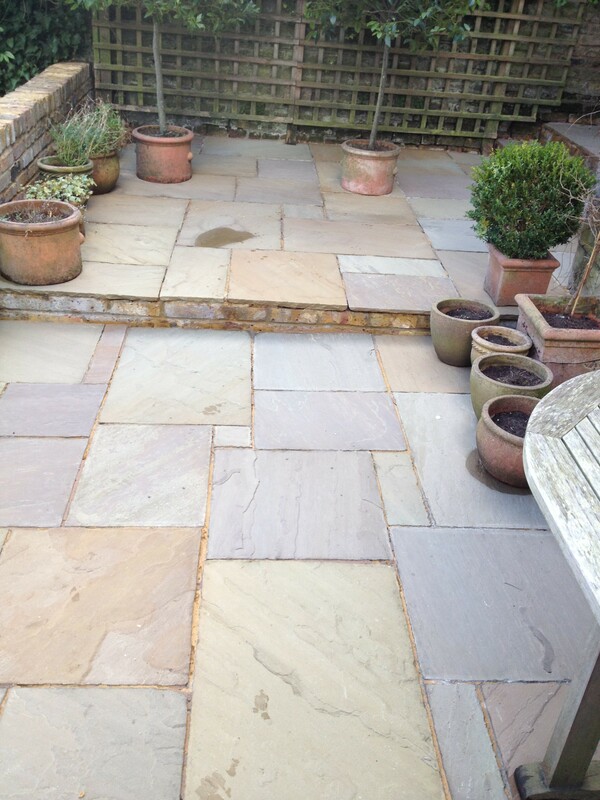 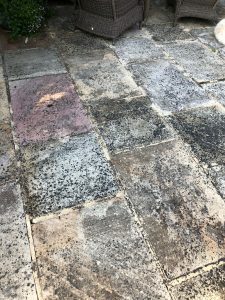 Indian Sandstone patio, not cleaned for around 7 years, so heavily covered in Lichen, deep cleaned to achieve the results below. 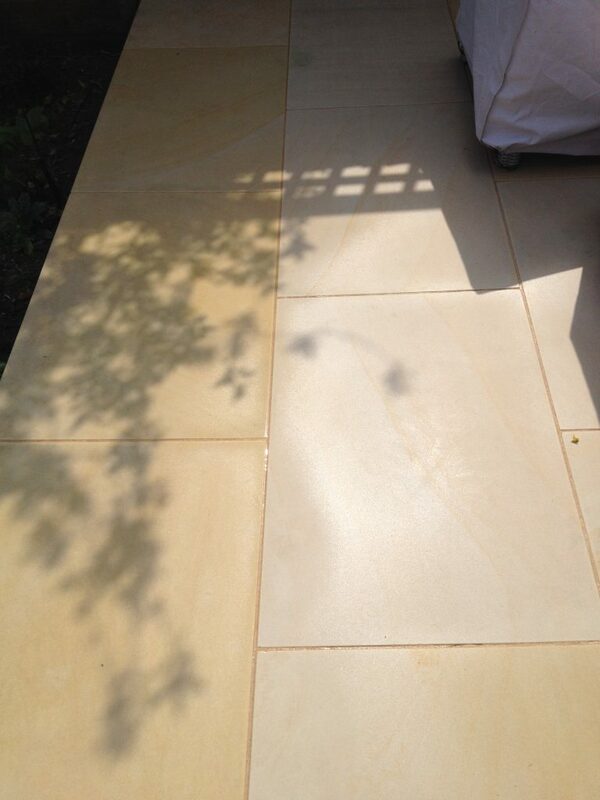 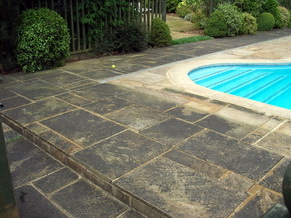 Sawn Yorkstone paving that was badly stained, the paving was deep clean to get these excellent results. 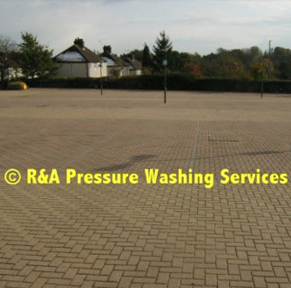 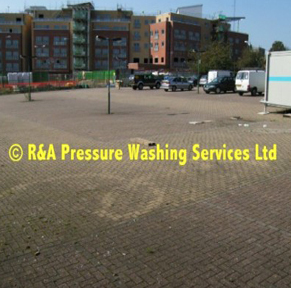 Another area we are experts at cleaning, wet-pour play surfaces, photos show the before & after cleaning, bringing the surface back to life and safe for children to play on again. 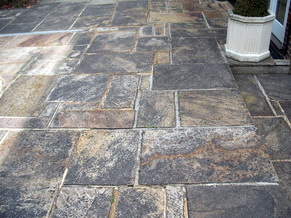 Yorkstone paving that had not been cleaned for around 40 years!!! 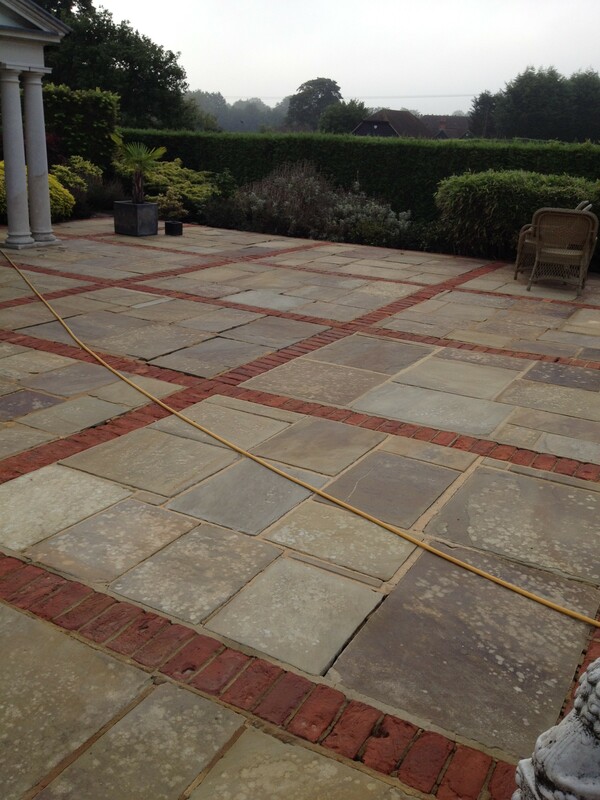 in Chobham Surrey. 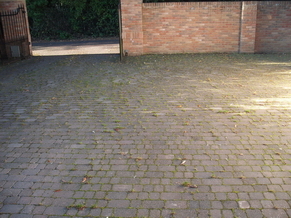 Excellent results after a very deep clean. 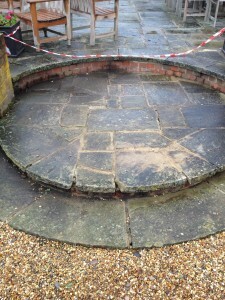 The paving will be re-pointed at a later date. 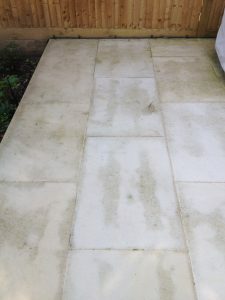 Sawn Sandstone patio that had been unfortunately damaged days after being laid by lawn fertiliser pellets which had landed on the new patio, the stains can look like “rust” but a totally different approach has to be taken to remove the stains. 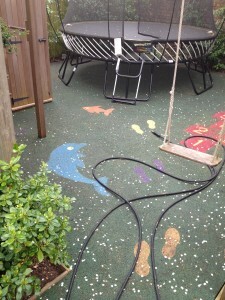 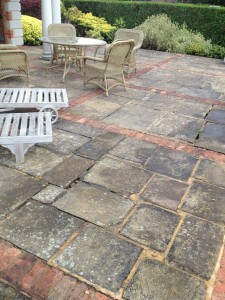 We were able to remove 99.9% of the staining making the owners and landscapers very happy. 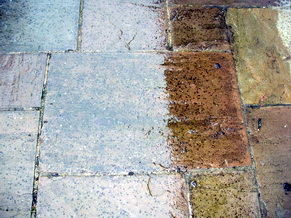 Yorkstone patio in southwest London patio had not been cleaned in many years in fact the homeowners had forgotten what it’s original colours were. 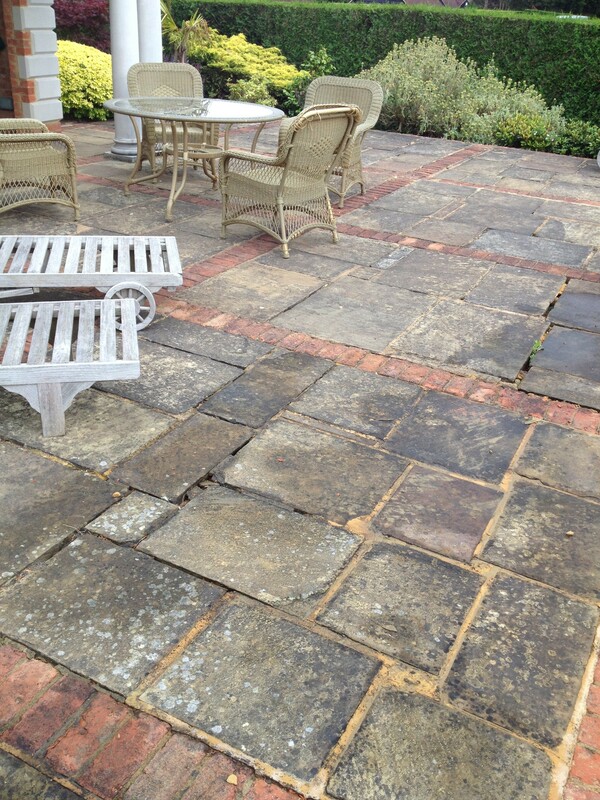 We did a very deep clean to bring the patio back to it’s former glory. 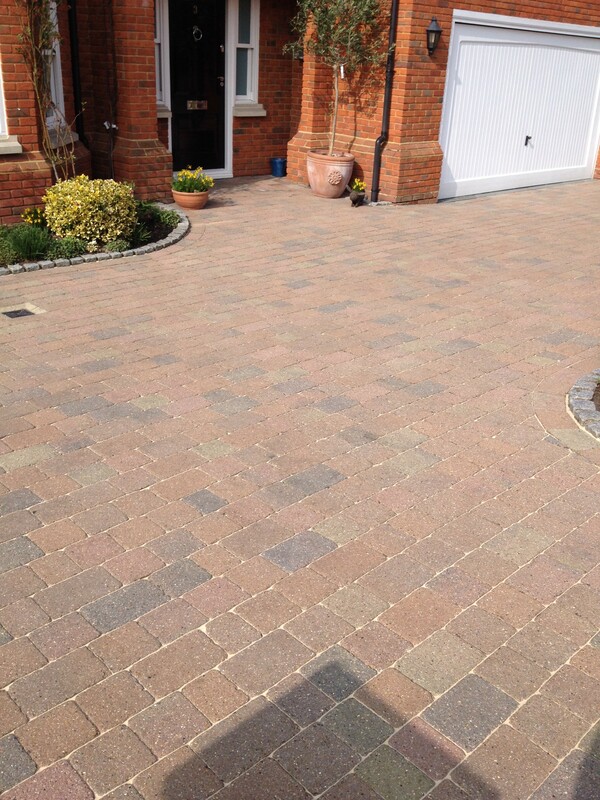 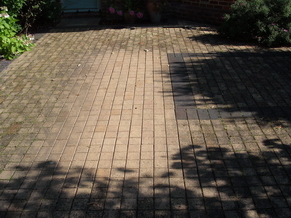 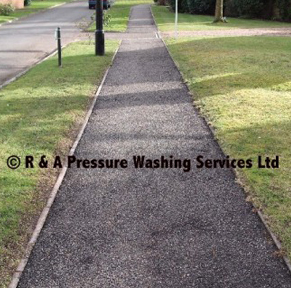 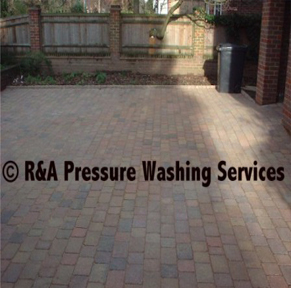 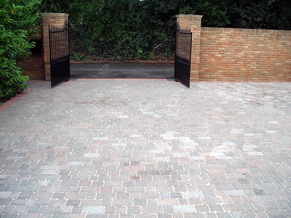 Tegula block paved drive in Cobham Surrey, it hadn’t been cleaned for around 4-5 years. 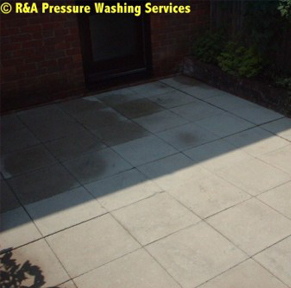 Paving was pressure washed & chemically cleaned then re-sanded. 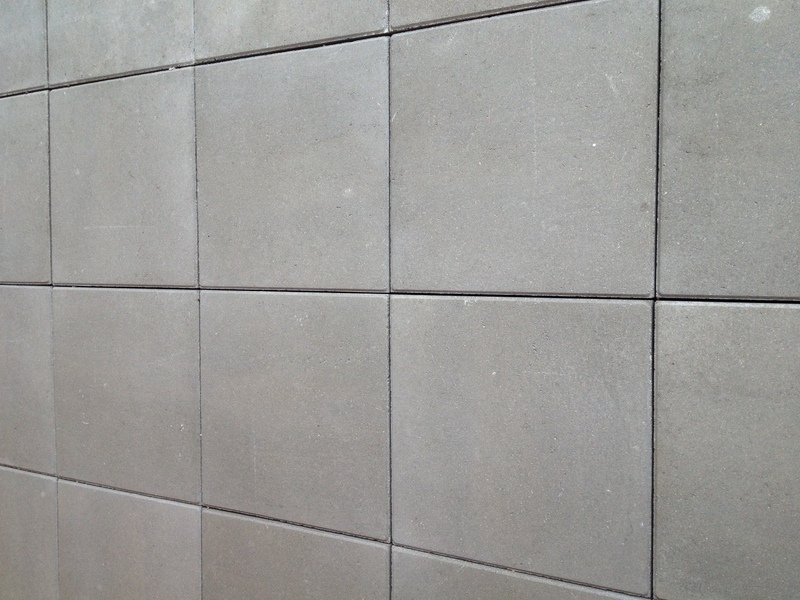 Concrete paving forming part of public walkways at a new housing development in Finsbury Park. 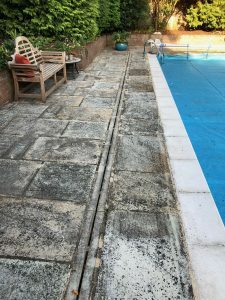 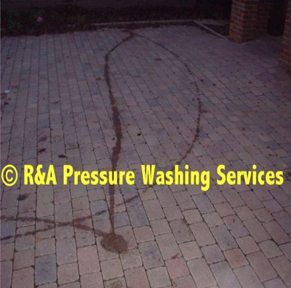 The paving had been stained from when they were being wet-cut to size, we removed the staining with our slow speed rotary floor cleaner as pressure washing wasn’t an option in this case. Clients very happy with the results. 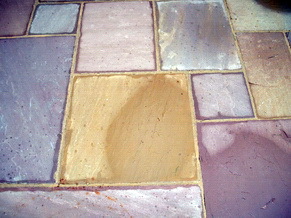 Indian Sandstone that was very dirty & stained with lichen. 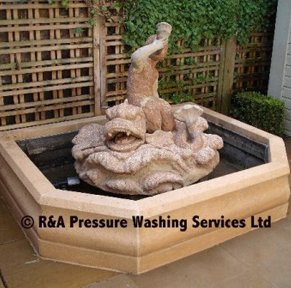 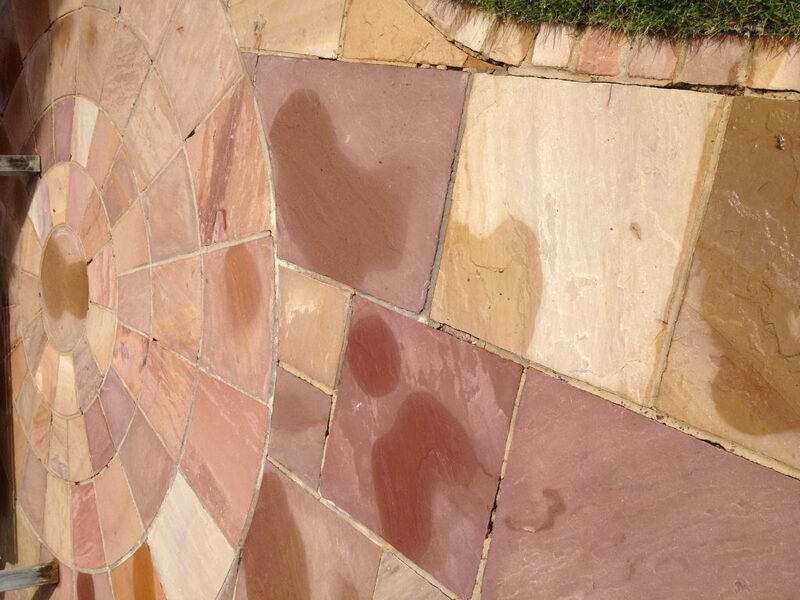 Surface’s were chemically washed to reveal the true beauty of the stone. 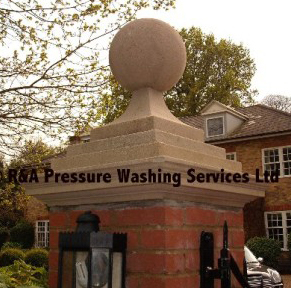 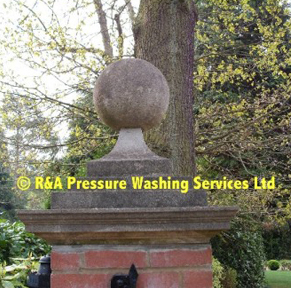 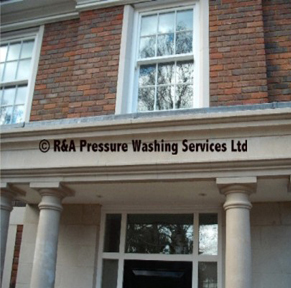 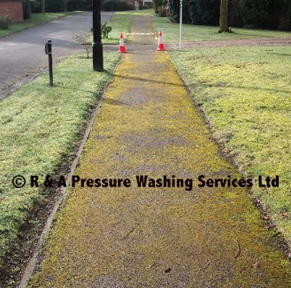 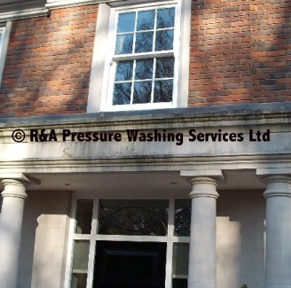 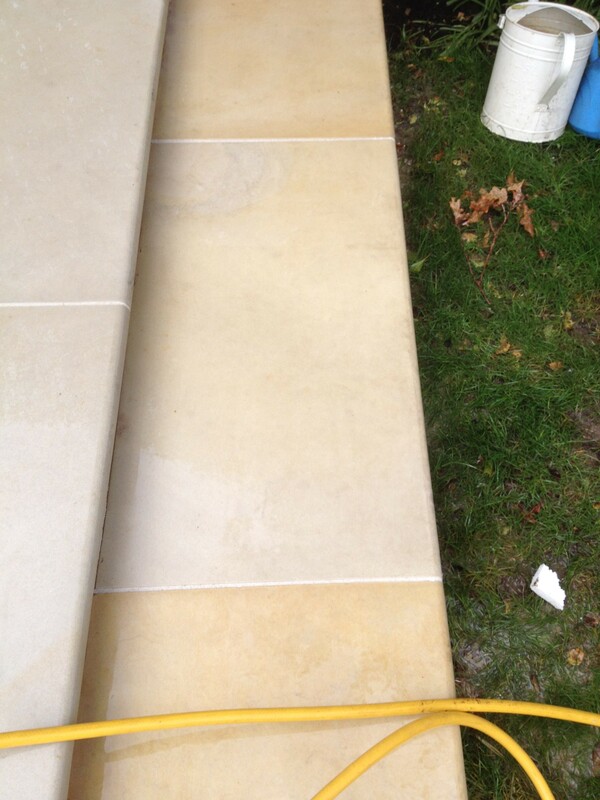 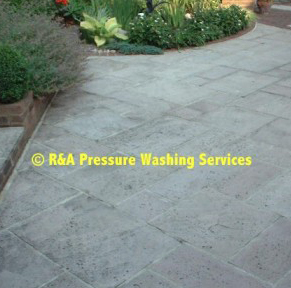 Indian Sandstone drive chemically cleaned to remove all lichen, algae etc. 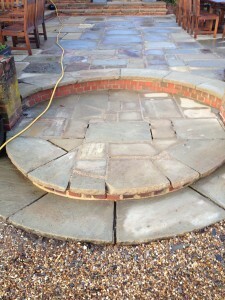 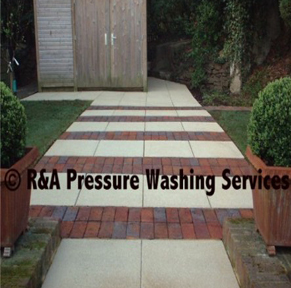 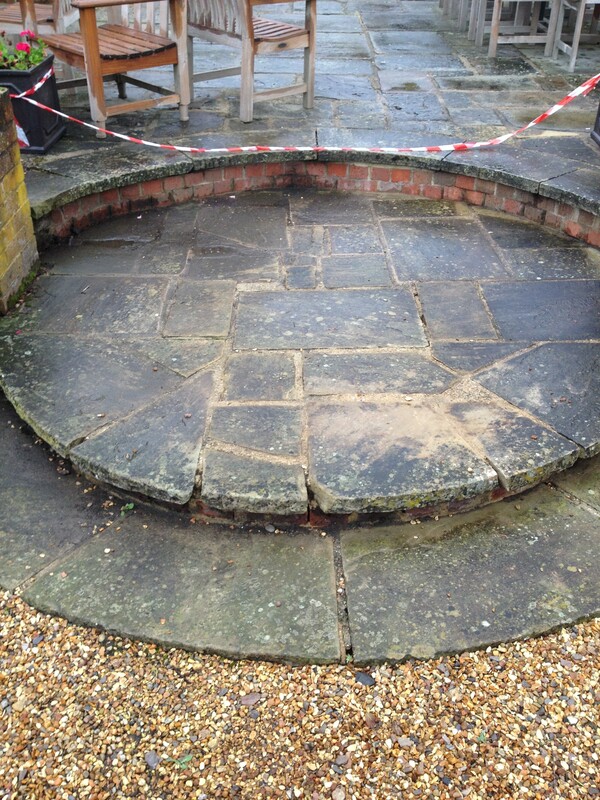 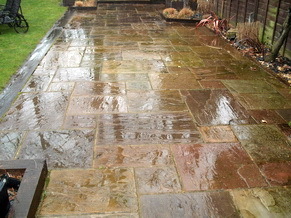 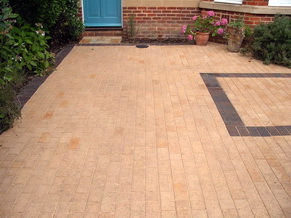 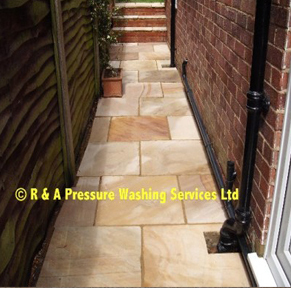 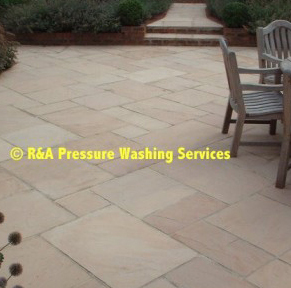 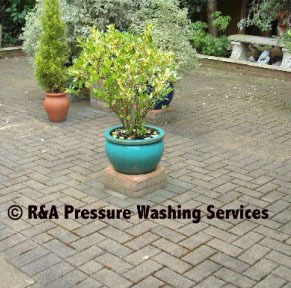 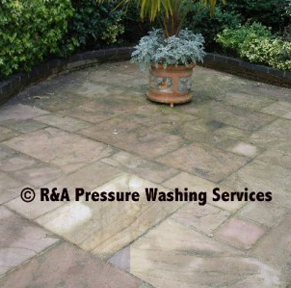 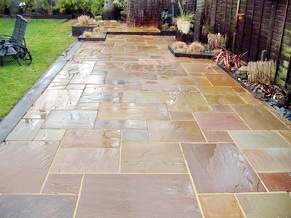 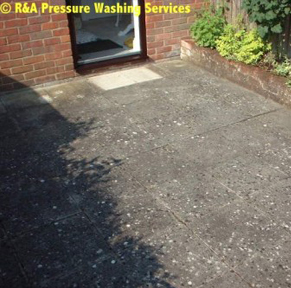 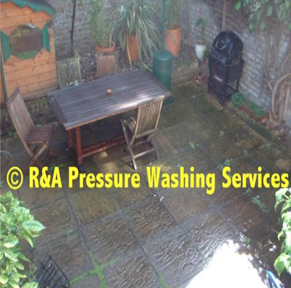 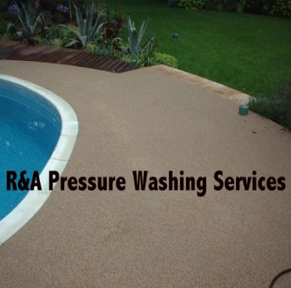 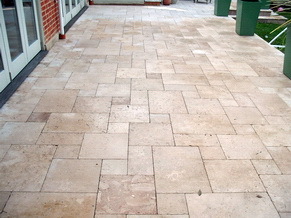 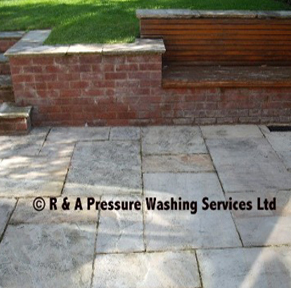 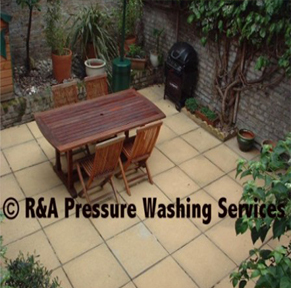 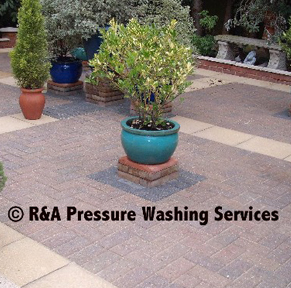 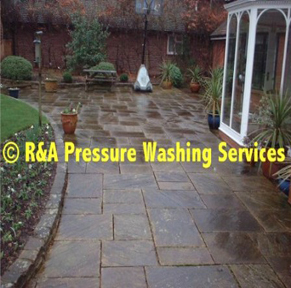 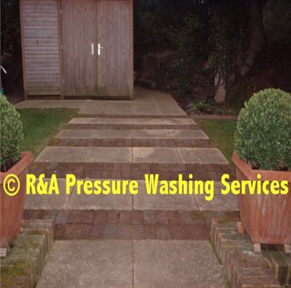 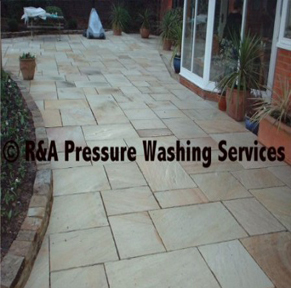 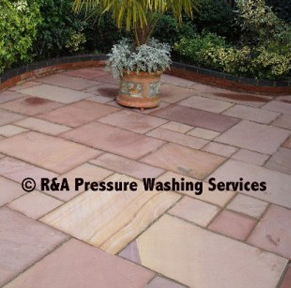 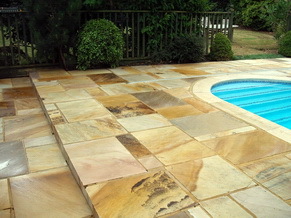 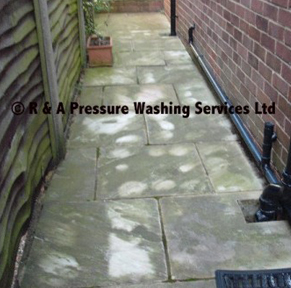 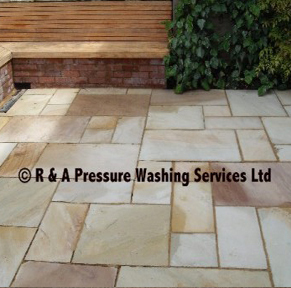 Patio, Block Paving & Concrete paving, Paving was chemically washed allowed to dry then re-sanded. 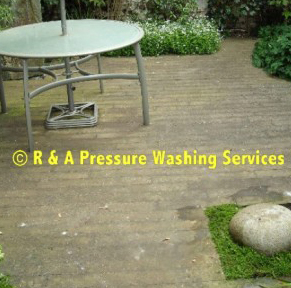 Excellent work, extremely courteous and polite. 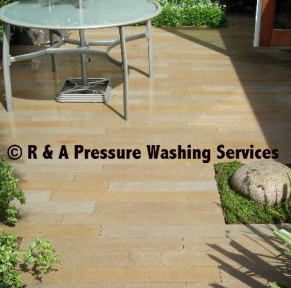 Would have no hesitation in recommending. 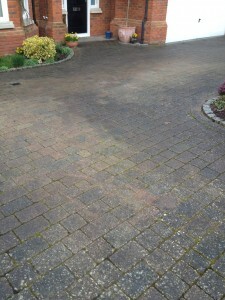 A professional clean that has surpassed my expectations. 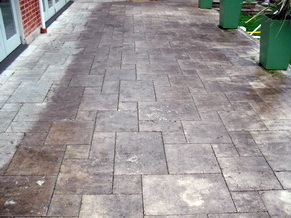 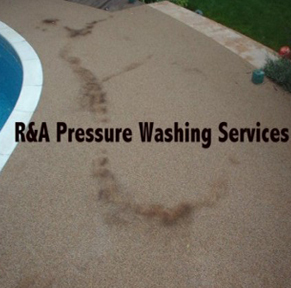 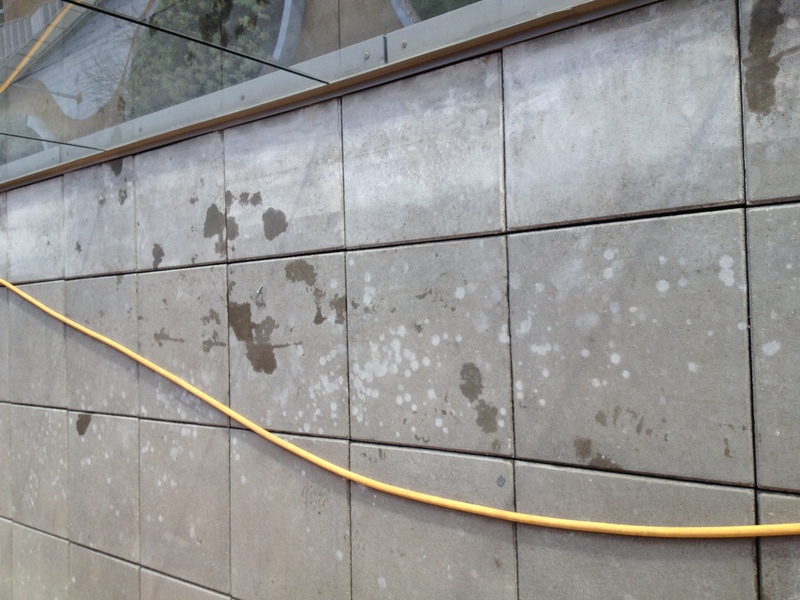 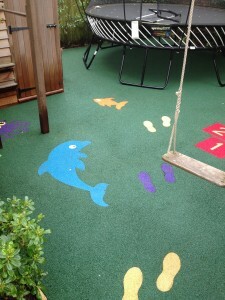 Excellent service, punctual, courteous, considerate and a terrific job on a patio that hasn't been cleaned for 15 years!